◎ The relationship between China and North Korea is at its lowest point since the founding of both communist regimes. North Korea tested a missile capable of reaching the whole of the United States mainland on Nov. 28. Since then, signs have emerged which suggests that the Trump administration is preparing to take action against Pyongyang in the event of further provocation. On Dec. 2, U.S. National Security Advisor H.R. McMaster told Fox News that the potential for war with North Korea is “increasing every day.” U.S. and South Korean troops later held a massive joint exercise that involved F-22 and F-35 fighter jets. Secretary of State Rex Tillerson said in a recent speech that the U.S. and China have discussions about how North Korea’s nuclear weapons would be secured if Kim Jong Un’s regime falls. While Tillerson initially said that America was open to talks with North Korea “without precondition,” he later backtracked and said that the Kim regime must “earn its way” to the negotiating table. In the meantime, China is getting ready for the worst. Refugee camps are being constructed in the county neighboring North Korea. A Chinese army group near the Sino-North Korean border held drills near the end of November. And state mouthpiece Global Times published an editorial on Dec. 2 about China’s inability to persuade North Korea and America to step away from a potential conflict. 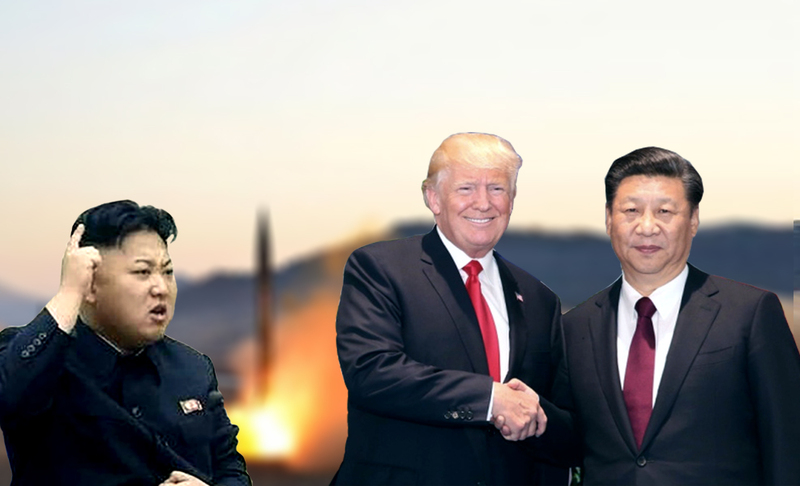 Why it matters: The Trump administration can only afford to talk tough with North Korea and deploy aircraft carriers and advanced fighter jets near the Korean Peninsula with China’s acquiescence. This suggests that the Xi Jinping leadership may be giving up on North Korea and will work together with America in the event of U.S. military intervention. 1. The relationship between China and North Korea is at its lowest point since the founding of both communist regimes. This is in part due to the Kim family’s close relationship with the Jiang Zemin faction and the fierce Chinese Communist Party (CCP) internal struggle between the Xi camp and the Jiang faction. Associates of the Jiang faction are known to have supplied material for North Korea’s nuclear program. 2. For Xi, abandoning North Korea is a pragmatic option. North Korean nuclear weapons represent a direct threat to China, given the proximity of the two countries. China also has better ties with South Korea than North Korea. Cooperation with America on the North Korean issue may buy Xi some time to prepare the Chinese economy for impending U.S. trade action. And American intervention could bring about the fall of the Kim dynasty and seal off an outlet which the Jiang faction has been utilizing to undermine the Xi leadership. 3. From the ideological perspective, however, abandoning North Korea could plunge the CCP into an existential crisis. Mao Zedong’s use of the “lips and teeth” Chinese idiom (chun wang chi han) to describe the relationship between the People’s Republic of China and the Democratic People’s Republic of Korea implies more than North Korea’s role as China’s buffer state; the idiom refers to shared fate and the inability of one party to survive if the other collapses. 4. President Donald Trump strongly criticized socialist and communist ideologies and regimes during his first speech at the United Nations. If American intervention leads to regime collapse, Trump may eventually press Xi Jinping to end communism. What Xi will do in this scenario is unclear. Check out our full report in Real Clear Defense for detailed analysis.